It's Valentine's Day already! February is zipping by and spring will be here before we know it. 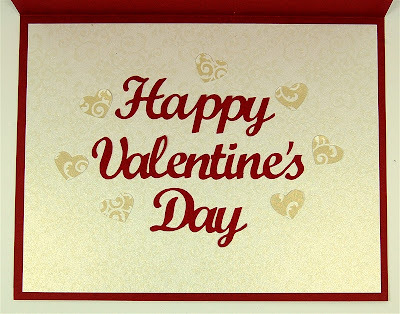 I hope you will be able to be with your valentine today. Our snow is melting - it's amazing to see how the nearly three feet of fluffy snow compacts down to about a foot of dense snow. We did have some rain which hurried the process along. While I am still catching up from being away so much last month, I have been able to do a little bit of designing this week and last night I made this card for my valentine. Here is the inside with some extra hearts (the flip side of the hearts cut from the top frame on the front of the card). I'll share more details about this card in another post since I am writing this late at night. It was nice to finally get back in my craft room and make something! If you enjoy stamping - or want to learn more about it - I want to remind you about the True Stamp event coming up on March 9th - just three weeks from Saturday. Lain Ehmann, the scrapbooking superhero organizer of Layout a Day (LOAD) and True Scrap, is hosting this one day internet event. 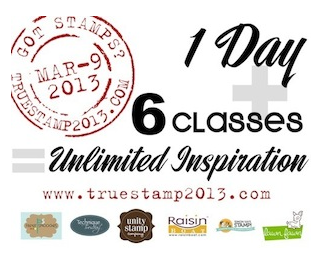 True Stamp is a full day of six live classes taught by instructors from six sponsor companies - Paper Smooches, Technique Tuesday, Unity Stamp Company, Raisin Boat, Simon Says Stamp and Lawn Fawn. You will have access to all of the classes after the event as well so you can watch them over and over again. There was a special early sign up discount offer that was good until February 8th but some of you may have missed that deadline. If you missed it, I have good news for you! Lain is offering a Valentine's Day special. You can use the discount code "SWEET" at checkout to receive a 50% discount. That makes the price only $48.50 - about $8 per class. Click on the True Stamp image above or click here to view more details. This offer ends at midnight Pacific Time today, February 14th, so don't miss out on your second chance! Here is one more look at my card. 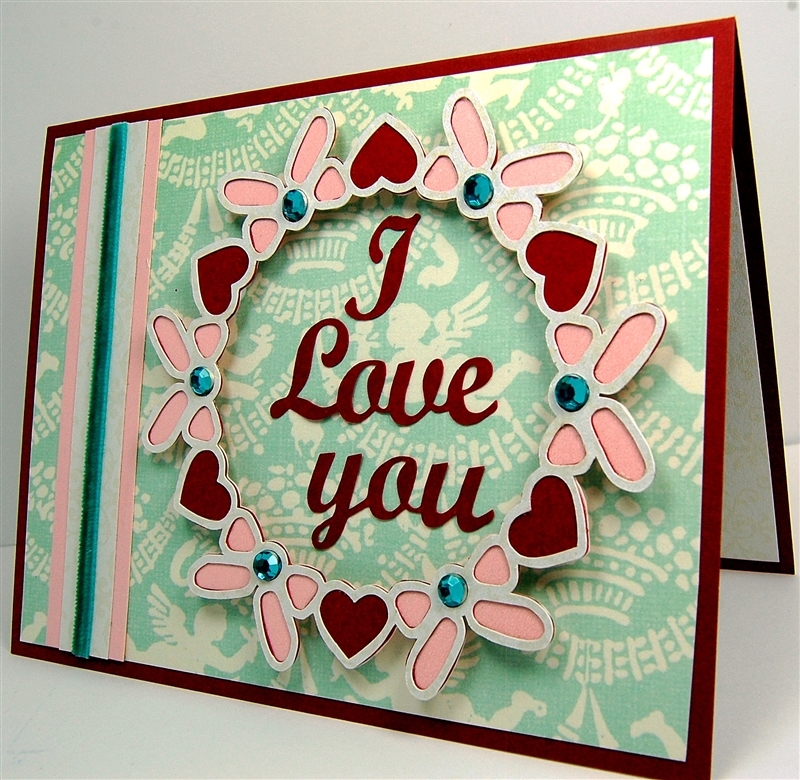 I designed the circle of hearts and bows to cut with the Silhouette Cameo. The words were welded and cut from the font "Script MT Bold" on my computer. It is taking me longer than I hoped to get "back to normal" but I am making progress. Most of the Christmas things are finally down but I do have to make a lot more trips to the attic to get everything put away. We may get some more snow but only an inch or two... Are you celebrating Valentine's Day today or waiting for the weekend? 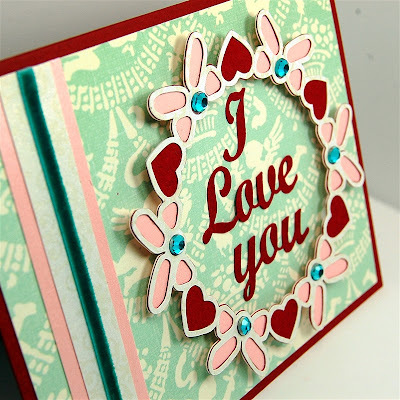 Beautiful Valentine Card. I am looking forward to how you made it using the Cameo! Thanks so much for sharing. I would so love it if you would share the Silhouette file on this card! Thanks for all you do! 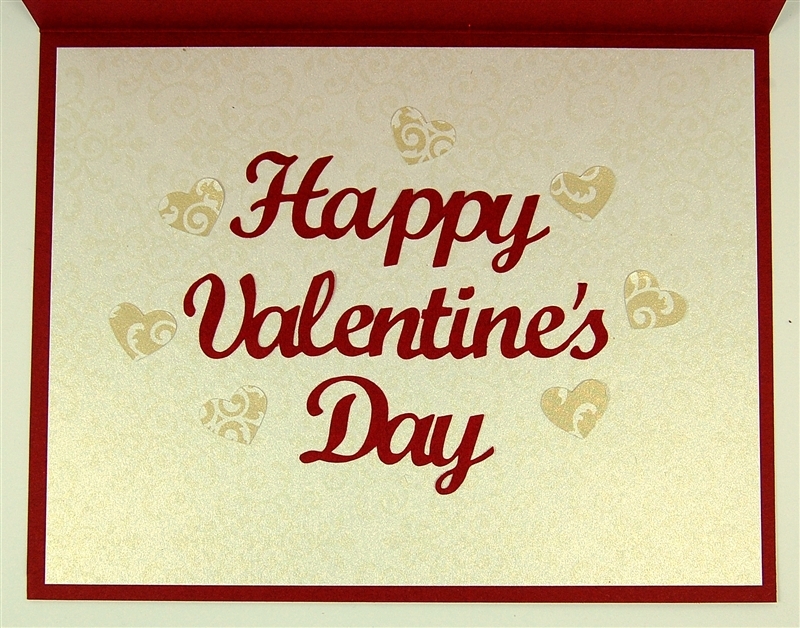 Wonderful card... Hope you and yours have a great Valentine's Day! Glad you had a wonderful Valentine. The cards are lovely.